The much touted PA-Hamas unity's main point of agreement is that they don't want a Jewish state. The PA and Hamas leadership are as far from unity as they were before the much touted unity agreement they signed. They cannot form a government, as they do not agree on a prime ministerial candidate. Abbas wants current PA President Salam Fayyad, but Hamas sayis it refuese to sit in a government led by him. The chasm between the positions of Fatah and Hamas over PM candidates and a future coalition seems to have widened. The Fatah-Hamas reconciliation pact signed in Cairo last April has been subject to constant contention. 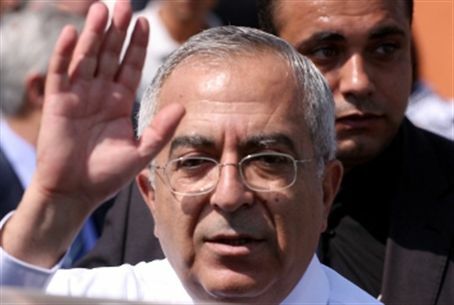 Hamas has stated unequivocally that it will never accept Salam Fayyad as PM, and will not participate in his government. Meanwhile, PA Chairman Mahmoud Abbas has clarified that Salam is his only candidate for the job, and the reconciliation with Hamas depends upon his appointment. Hamas claims they will not accept Fayyad because he is responsible for the deep debt in which the PA is now mired. He also had Hamas supporters in the West Bank arrested, and fired many Hamas-affiliated civil servants. Sources close to Abbas said that the chairman considers international financial support of the PA of the utmost importance. In his opinion, Fayyad is the only one who can raise the necessary funds in this period of world-wide financial crises. Abbas also sees Fayyad as the only candidate acceptable to the US and the Europeans. The West considers Fayyad a briliant economist who has created the infrastructure necessary for forming the PA state. Fayyad is also responsible for a ban on Palestinian employment by Jews, and for boycotting Israeli produce in the PA. He was filmed burning them in public. Israeli PM Netanyahu expressed his views on the Fatah-Hamas reconciliation, and said that the PA can make peace with Israel or with Hamas, but not both. In signing with Hamas, the PA has basically said yes to a terrorist entity that refuses to acknowledge Israel's right to exist. This agreement is another reason for stalled negotiations between Israel and the PA.